Most kids don’t have much to worry about in the summer months besides bee stings and getting enough ice cream. But others are not content to waste away their days laying on the beach or roaming the neighborhood mall. Some feel the need to tell heroes that they’re heroes. Wesslee Berger is crazy for cops. The seven-year-old boy developed a fascination with law enforcement officers after watching a funeral procession honoring a fallen officer. 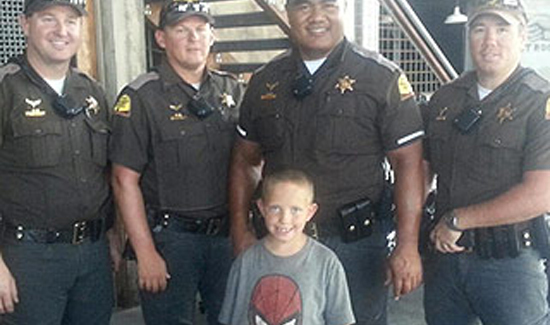 Now, he runs up to a cop every chance he gets and thanks them for all the good work they do. “He equates them to Batman a little, I think,” said his mom, Valerie. So, while other kids are playing video games and getting into mischief, Wesslee is out there handing out some well-deserved pats on the back. If you live or work in Utah, keep an eye out for him.